Simply choose your meat and get them barbecued for you on the spot. 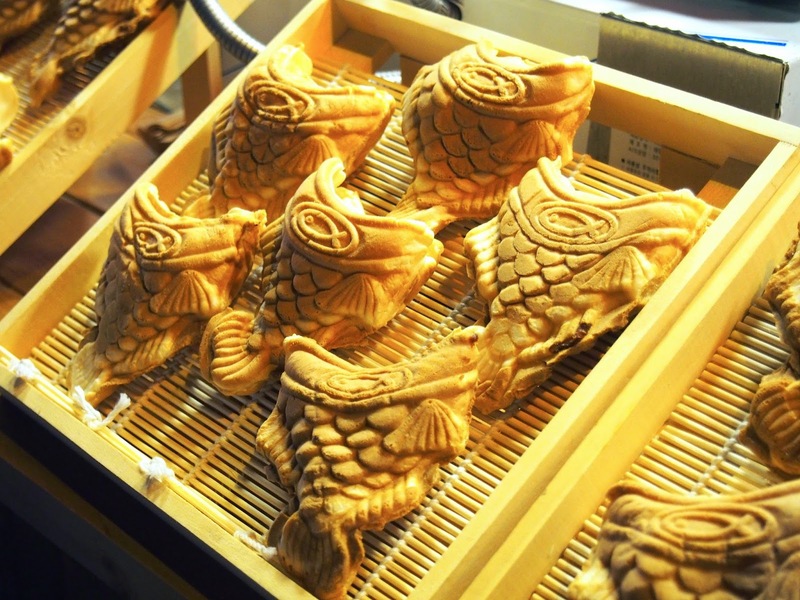 You are missing out if you do not know what a Taiyaki is. 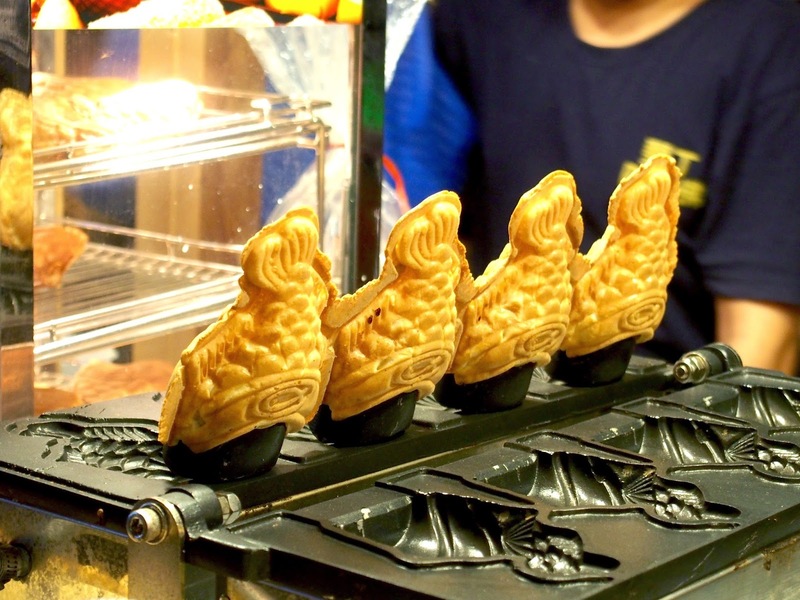 It is basically a Japanese fish-shaped pancakes, that is usually filled with red bean paste that is made from sweetened azuki beans. 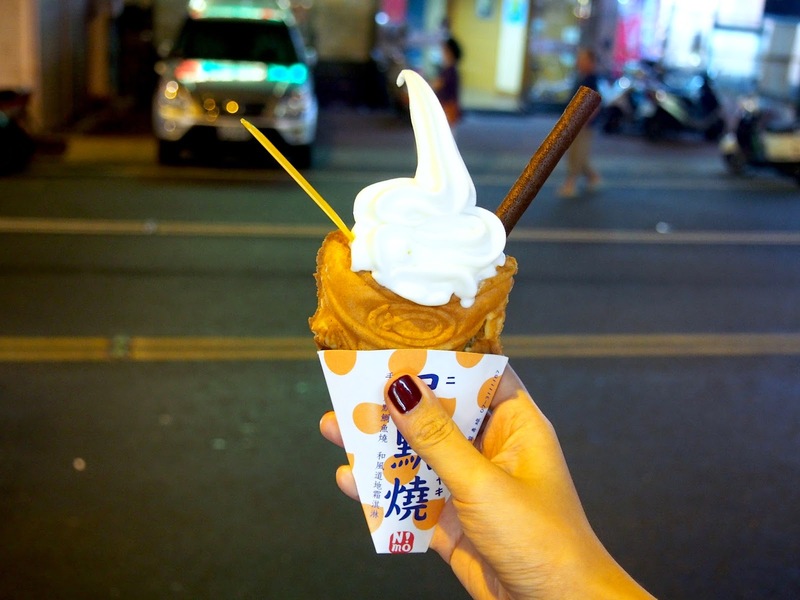 Lucky for us, this even comes with a soft-serve on top of it. 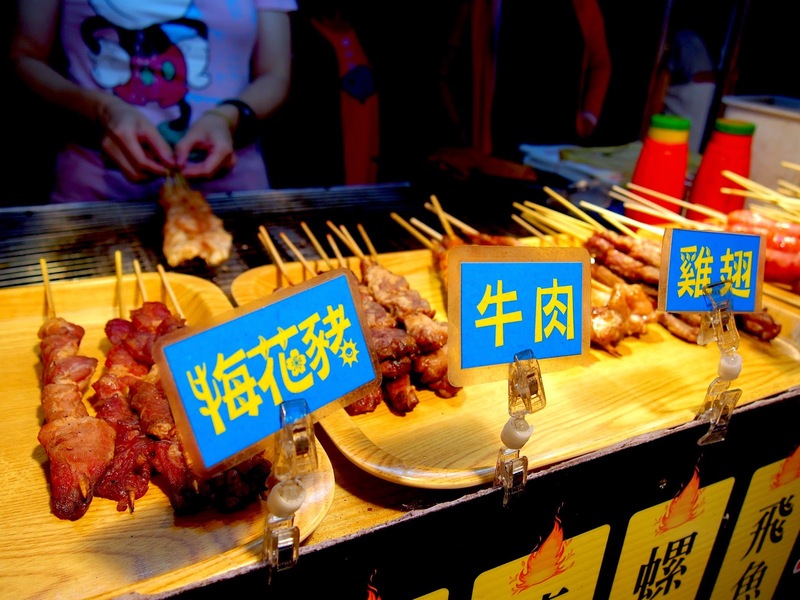 You know how everyone is going crazy over the flame-grilled beef cubes in Taipei? Similarly, fried giant squid is quite a big thing as well. 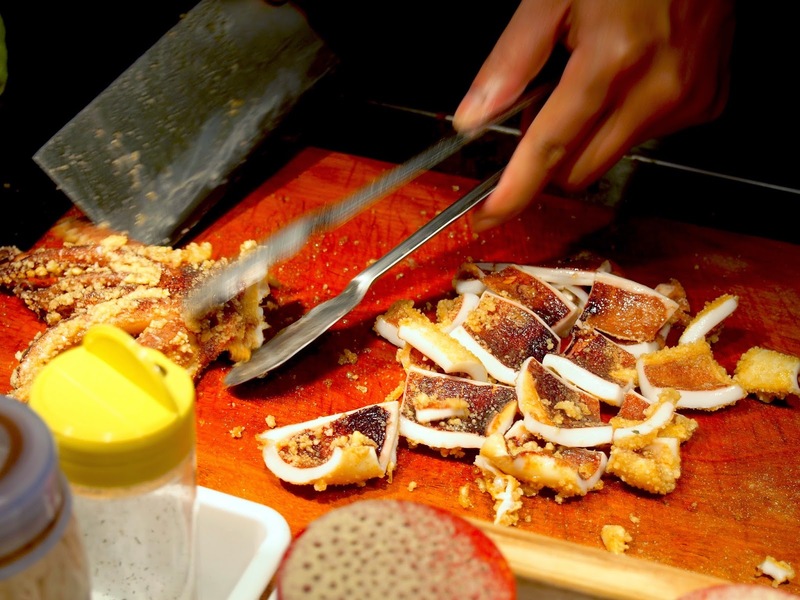 That satisfaction though when you put the freshly fried, crispy and juicy squid into your mouth. Any sweet potato lovers out there? 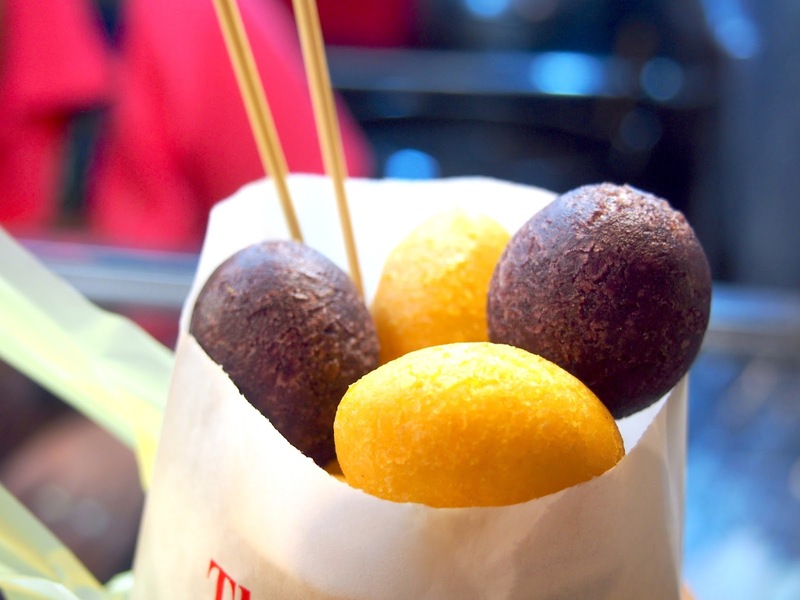 In the guide to 24 hours in Hualien, Taiwan, I shared where I got my purple and yellow sweet potato ice-cream, so how can I not share about this purple and yellow sweet potato balls ( 地瓜球) that you can get easily along the streets of the night market. You might be wondering how it tastes like. If you are expecting to get a very powdery and floury texture, you are wrong. With the right amount of oil and heat, these sweet potato balls hit the right spot of chewiness and fluffiness. Definitely a must-try; you won’t regret it. 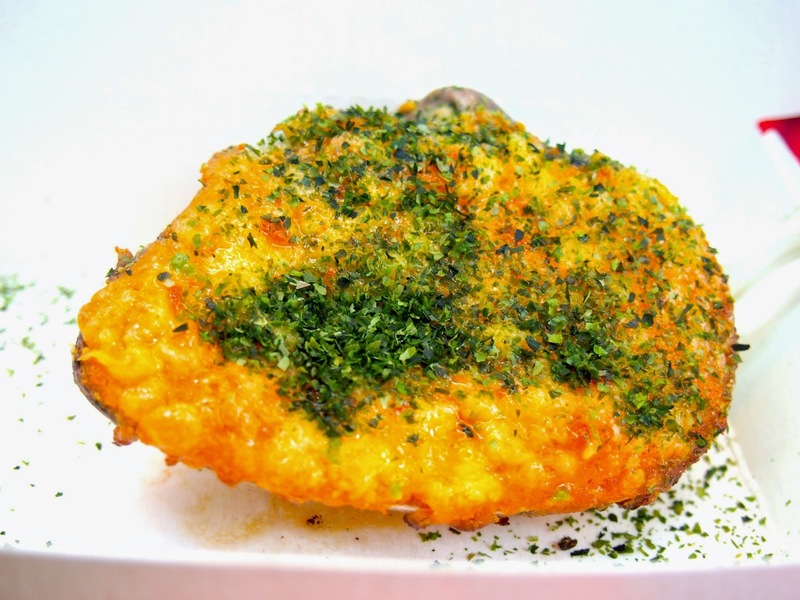 You can even choose to add toppings like seaweed sprinkles on top of it. 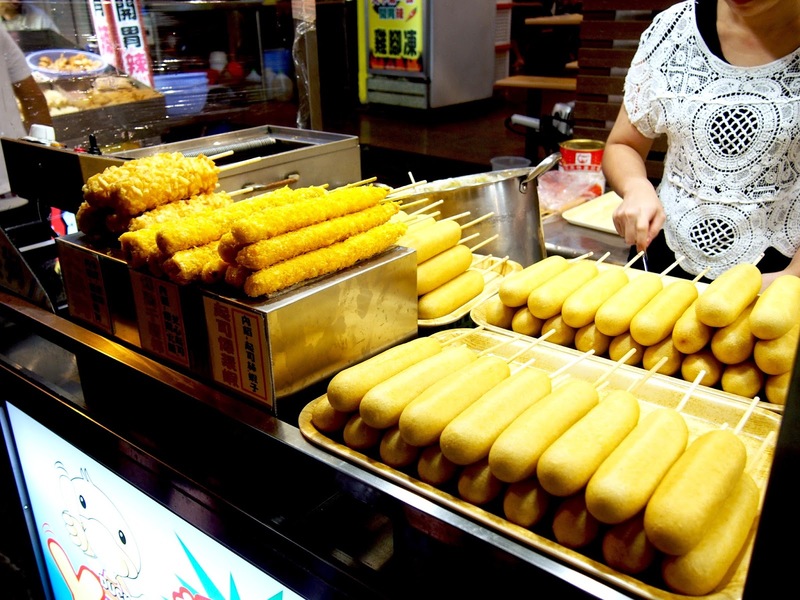 While corn dogs can be pretty commonly seen around Taiwan, street food vendors are starting to innovate by creating new flavours. 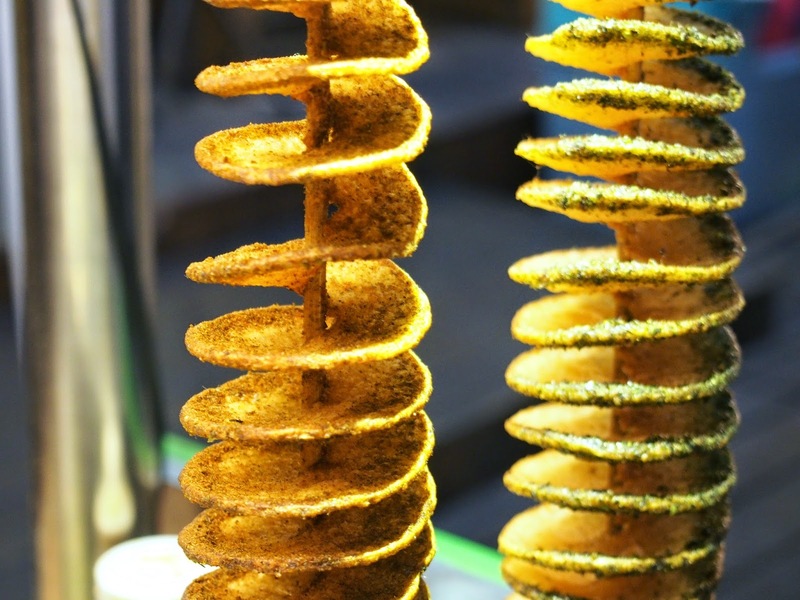 For the potato spirals, you get to choose from interesting flavours such as seaweed and curry. 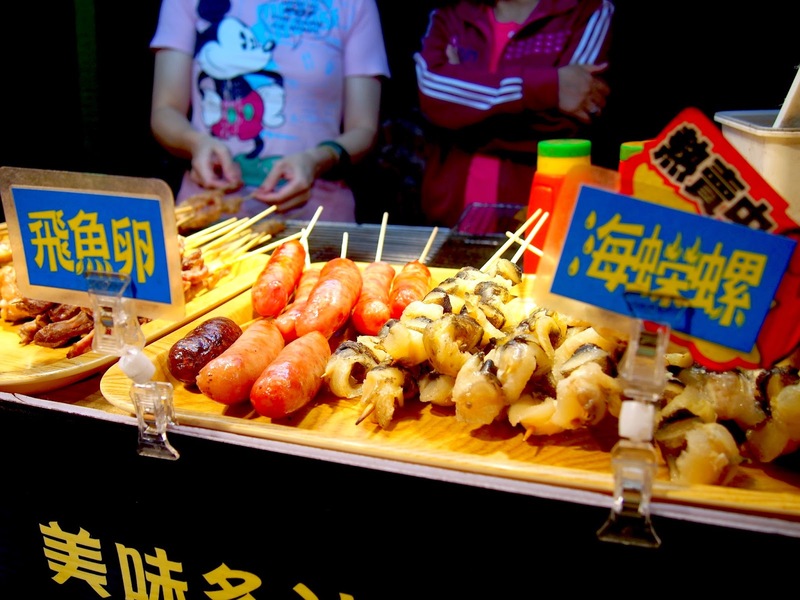 Having visited quite a number of night markets in Taipei, I must say that I love Kenting’s night market the most. 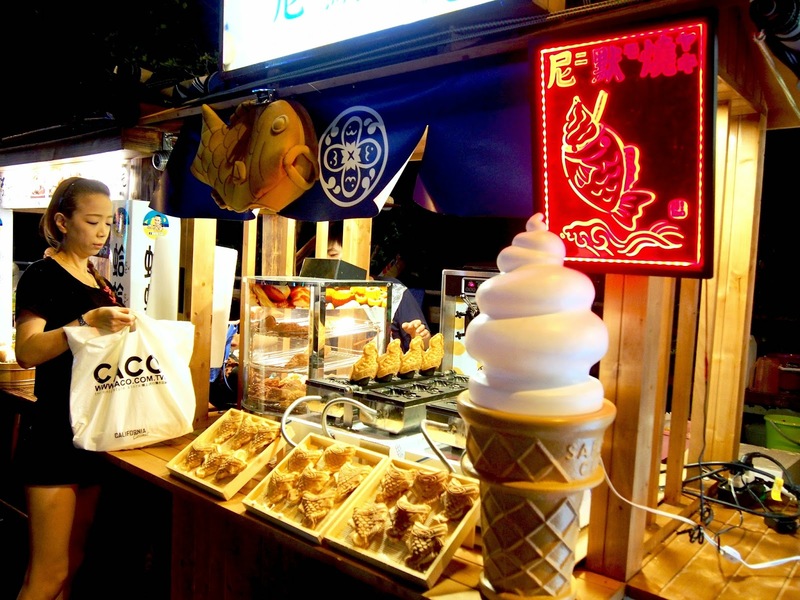 It consists of an entire stretch of stalls selling food (mainly), with some retail shops behind the food stalls. Quiet as it seems in the day time, Kenting streets definitely light up with bustle when it hits evening. 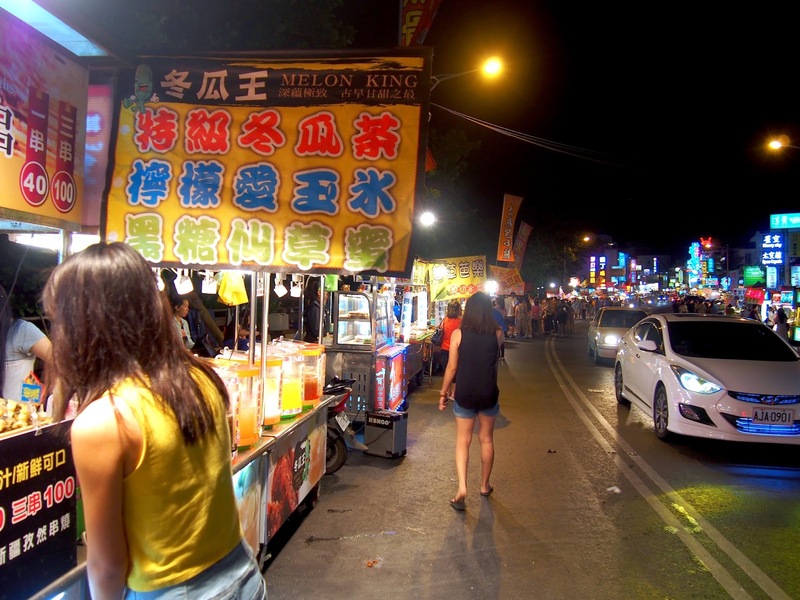 Kenting night market is straightforward as it can be; just two stretch of stalls facing each other. 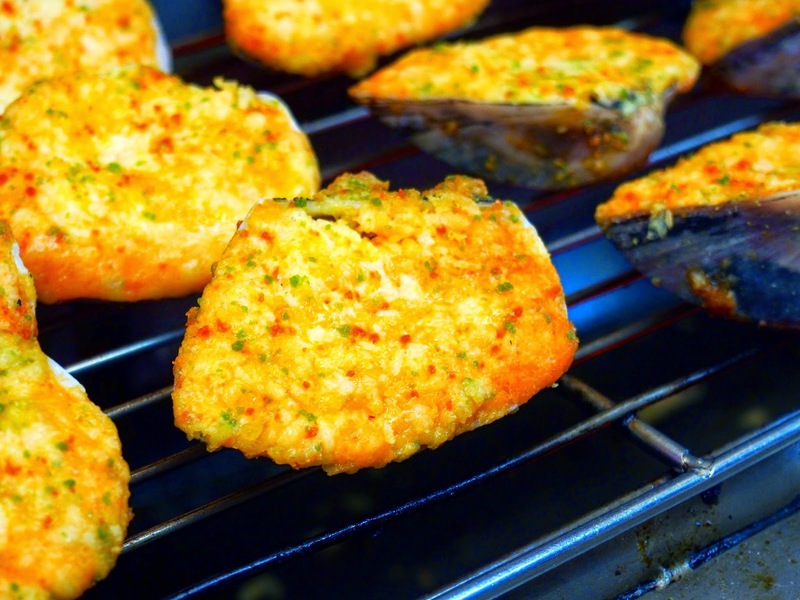 Skip the restaurants, and settle your dinner as you head down the street. 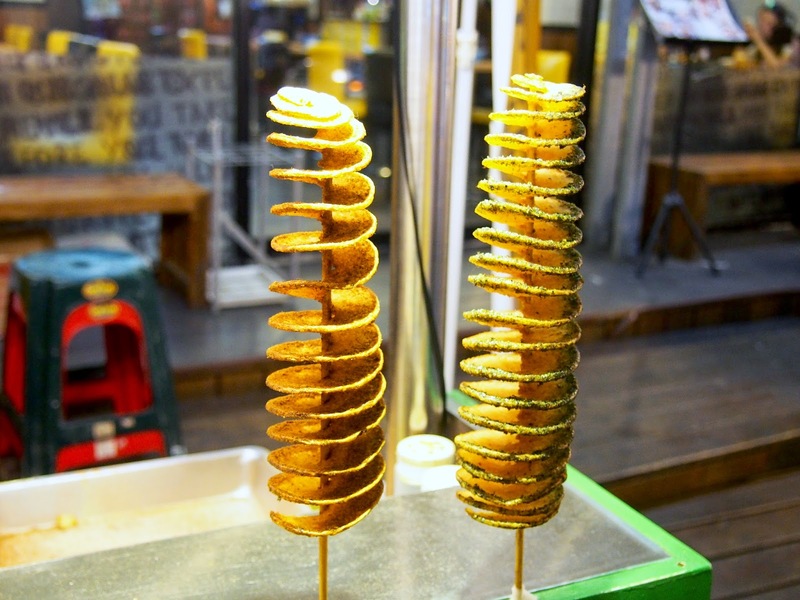 The bars along the night market street are worth visiting though. Many come with live-music and great ambience for a late night hangout.